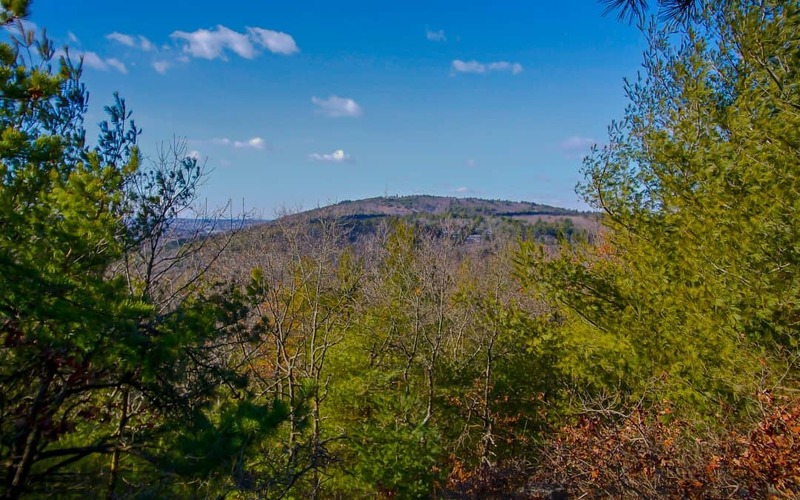 Please sign our petition if you care about making the Blue Hills safe and the trails accessible for everyone who wants to hike the Skyline Trail. Anyone who has tried to follow the Skyline Trail across Routes 28 and 138 knows how dangerous it is to cross these highways. People who are new to the trail or have impaired mobility are even more at risk in these intersections. Possible solutions include rerouting the trails or installing traffic calming measures. If you care about making the Blue Hills safe and the trails accessible, please use the link below to add your name to others who share your concern for these crossings. Please leave a comment as well! Your personal note will be delivered to decision makers with the petition. We will deliver the signatories to decisions makers to demonstrate the demand for improved safety at these dangerous crossings. As a Blue Hills Reservation neighbor, I would like to see safer crossings for all people who use the park. In particular, please consider installing traffic calming measures to slow down drivers who use Routes 28 and 138 as though they are highways! Please consider measures to make the Skyline trail crossings at Routes 28 and 138 safer. Thanks for taking on this cause! These crossings are so dangerous even for adults. I don’t know how people with young children could even attempt to cross, the traffic speeds through so quickly. Please improve safety of trail crossings on Skyline trail. My husband and I hike the Skyline Trail many, many times each year. We have been appalled at the lack of courtesy shown by cars traveling along Route 28 and 138. It often becomes necessary to run across between on-coming traffic, which is both dangerous and difficult with a backpack. A good first approach to the problem might be adding a simple crosswalk with the signs that tell drivers to yield for pedestrians in the crosswalk. Knowing the trail as well as I do, rerouting seems like a difficult task that would only work if the trail crosses at the set of traffic lights. THANK YOU so much for recognizing this issue, and for trying to remedy the problem before one of us gets hurt. Please consider adding flashing lights and “yield to pedestrians” signs. I often cross Rt 138 from Green St. I would be in support of signage there as well. It would be a nice connection to/from Little Blue trails as well. A over pass project wouldn’t help to slow traffic, which is a huge issue on 138. I would love to see a pedestrian overpass at the Skyline Trail crossing. The site lines are short over the top of the hill, so it is tough to gauge when traffic is on its way. Such a wonderful resource deserves safe passage. Thanks. Yes! Please consider measures to make the Skyline Trail crossings at Rt. 138 and Rt. 28 safer. It is a bit scary to cross these busy roads at times and I am a runner! Thank you for addressing this concern. Is a pedestrian tunnel under 28 a feasible option? That would be great, wouldn’t it? I don’t think that they have the funds for that, though. A walking tunnel is the perfect solution. A cross walk or blinking yellow light won’t do much. A group of hikers were almost hit once when a girl was speeding and texting. She looked up at the very last minute. Something should be done. Wake up and SLOW DOWN drivers like that your woman. Please implement measures to make it safer at these areas. GPS APS are directing more and more commuters through the Blue Hills as a shortcut from Boston to 128 and 95. These drivers are in a hurry to get to where they’re going, not leisurely drivers there to enjoy nature. Too bad there isn’t a way to stop this from happening. A footbridge over the BluE Hills roads in these dangerous areas would be nice. They have such bridges over Storrow Drive pedestrian traffic between Charles River parks and Boston and Brookline. Why can’t they do the same for Blue Hills hikers? Please consider measures to make the Skyline Trail crossings at Rt. 138 and Rt. 28 safer for everyone to cross. It is very scary trying to cross over these busy roads, I can’t imagine having to do it with little ones. Thank you for addressing this concern. As challenging as parts of the Skyline are, the most dangerous part of a Skyline hike is crossing Rts 28 and 138. There is rarely a choice but to run like crazy between approaching cars. Please please let’s not wait till a hiker is killed by a fast approaching vehicle to take some simple steps to warn drivers of crossing hikers. It would help a lot to have a cross walk there with signs about yielding to pedestrians and/or hikers. Otherwise it is a gamble whether the oncoming traffic will slow down and yield to walkers. Yes, I agree there is a dire need for traffic calming measures in and around the Blue Hills. I am also a neighbor, off Blue Hill River Road, and it is treacherous when I attempt to cross from my neighborhood with a dog and baby to the Houghton’s Pond area. I know the State Police are busy, but I wonder why there aren’t more action taken against speeders and other violators? A crosswalk with improved signage at the crossings would be a simple improvement. Also I would add the Skyline crossings on Wampatuck and Chickatawbut Roads. Both are located at curvy sections of the road, thus hindering driver visibility. Yes! Yes! These crossing are even more frightening for pedestrians, though speeds may be lower due to curvaceous roads. My husband and I hike some part of the Skyline Trail every week, year round. The crossing at Hillside Ave. is the only one that is safe because of the crosswalk and sign within it that alerts drivers to hikers. The crossings at Rtes. 28 and 138 and at Wampatuck and Chickatawbut Roads are all very dangerous for hikers. Please don’t wait for there to be a horrible accident or even a fatality before something is done. I love hiking in the blue hills and think that a foot bridge above 28 and 138 would be a great idea to keep hikers safe from drivers. It is very important to Canton residents that this crossing for the Blue Hills Reservation that this crossing is as safe as possible. As a frequent user of the Blue Hills Reservation, it is important to ensure that the crossings for 28 and 138 are safe. Please take the steps necessary to ensure that this is true for each and every user of the affected trails. As a local, I run in the Blue Hills often in the mornings and getting across rt 28 is extremely challenging throughout the morning (and evening) traffic. I think a “yield to hikers” sign and flashing yellow lights at the Skyline Trail crossing would be a good start to making that crossing easier. Sending support from the Friends of the Middlesex Fells Reservation (friendsofthefells.org) and WalkMedford (walkmedford.org) — working together to find ways to walk safely in our great natural preserves. I routinely hike the Skyline trail and find the crossings at Routes 28 and 138 to be unnecessarily difficult and dangerous. Please consider simple inexpensive measures – such as crosswalks and signs – that would increase safety at these points. For all users of the Blue Hills Reservation, it is essential to ensure that the crossings for Routes 28 and 138 are safe. Please take any and all necessary measures to ensure that this is true for each of the affected trails. We support making safer crossings of RT. 28 and 138 for hikers – and anybody for that matter. The crossing at 28 could really use better signage for drivers approaching the crossing, as well as a very brightly marked crosswalk. The problem at this crossing is visibility; traffic is higher speed, but much lower volume, and since the road curves, drivers don’t have enough indication that there’s a crossing coming up. I think this could be managed with road markings, a crosswalk, and more signage. At 138, the problem is less one of visibility (although a gap in the guard rail where the trail actually continues would be nice! ), and more one of traffic volume; drivers can see for a long distance, but there’s never a break in traffic here, and no indication that there’s a crossing. This crossing could benefit from a crosswalk with a push-button pedestrian light (not necessarily a red light; one of the flashing yellow pedestrian signs/alerts activated by button would work really well here). Drivers often are distracted and may not see hikers on the road. Please improve these crossings so that drivers will be required to pay attention and slow down or stop for hikers. Used this crossing many times..very unsafe! Better to take safety measures before there’s an accidental injury or worse. A good and fairly inexpensive first step would be a feasibility study/needs analysis. A pedestrian-activated crossing light with signage would seem to be the best option. Anything that helps to improve safety in these areas would be greatly appreciated. Please don’t wait until someone gets hit trying to cross these roads!. Not everyone is a sprinter and cars are traveling 50-60mph here. Thank you. I visit the Blue Hills reservation at least once a week, year round. I also find crossing Routes 28 and 138 to be dangerous not just for those of us on foot but for drivers,too. I have seen cars kindly waiting for me to cross get nearly rear-ended by people driving behind them (usually looking at something on their lap). Also, impatient drivers that just slow down and honk impatient when one doesn’t cross “quickly enough”. Please, some sort of flashing light that we can press to alert drivers to a pedestrian crossing would be greatly appreciated. Please make the crossing at Routes 138 and 28 safer. These can be dangerous for someone who is not familiar with the area. I feel that crossing either 138 or 28 is risky. A simple low-cost solution, put in two signaled pedestrian crosswalks with manually activated stop lights. They would make crossing these highways safe while at the same time not unduly impeding commuters and truckers. I used the trail frequently when I lived and worked in Milton. Please consider a footbridge or a tunnel to help improve safety for hikers and other users of the Blue Hills. A temporary solution would be crosswalks and signs until a more safe alternative can be constructed. Please improve the crossings at the Blue Hill roads so hikers can cross the roads safely. Hiking should be safe, keep our trails linked together safely without dangerous high speed crossings. Please help keep these dangerous crossings safer. As a weekly hiker, the crossing at rt. 28 is extremely unsafe. I don’t feel that warning lights and a crosswalk would help. Outside of morning rush hour, the vehicles on Rt 28 are traveling at highway speeds, and the crossing on the northbound side is just below the apex of the road, which reduces visibility. An overhead footbridge, although costly, is the safest alternative. Using a stairway footbridge, instead of a ramp footbridge, would reduce the overall footprint, and it could be moved just a few yards north or south of the existing crossing to keep the current trail crossing open for fire and other public safety vehicles to cross. I think it’s time for a fundraising project. People – as well as animals – need to be able to travel safely across a fragmented habitat. Please take the necessary steps to improve the trail crossings in the Blue Hills. As a long time hiker in the Blue Hills, including hiking with the preschoolers that attend my family child care program, I support any safety measures that will make crossing roads safer for everyone, especially those of us that hike with children. It seems irresponsible for the state to maintain the speed limit on Rt. 28 at 50mph. The intersection at Chickatawbut road is statistically the #1 worst intersection for crashes in the entire state. On a busy day roadside parking is full of cars. It is very dangerous for the cars to leave or enter the 50mph flow. At times it is impossible to cross on foot. Lower the speed limit to 35, install a crosswalk and pedestrian crossing sign. And while you are at it, figure out who is dumping their weekly household trash along that road and put an end to that ignorant practice. It can be quite a wait and then a dash to get across these busy roads. If a cross-walk and signs aren’t enough a slight bulge in the road with a central refuge would allow you or a small group to take the two streams of traffic one at a time. Please consider crosswalks and signs so people can cross safely. Please make trails safer for all. people need to be able to cross the street safely. Just seems to make sense to address the problem now. Why wait until something tragic happens? Thanks. I have crossed Randolph Avenue on the Skyline Trail many times, always with great trepidation. Most drivers are considerate, and wait for me to get across– but something more formal is needed, at least a painted crosswalk, as drivers not familiar with the road have no reason to expect pedestrians at that point. Please investigate the feasibility and impact of adding a pedestrian overpass on the Skyline trail to improve safety for hikers, runners, bikers and motorists. We have looked into it. It’s very expensive and not cost-effective for the amount of traffic that it receives, although we totally agree that it would be great to have! They are looking at other options to slow traffic down and possibly put in a light or crosswalk on Route 138. Thanks for your note! And thanks for caring about this issue! For the safety of all please improve this crossing!